My first outfit post! I'm not going to lie, I'm incredibly nervous about this post. I've been wanting to do Disney outfit posts for a while now but the thought of putting pictures of myself on the internet like this fills me with fear! However I thought I need to start listening to my favourite Disney quote more - "have courage and be kind" - so I'm giving this a try! 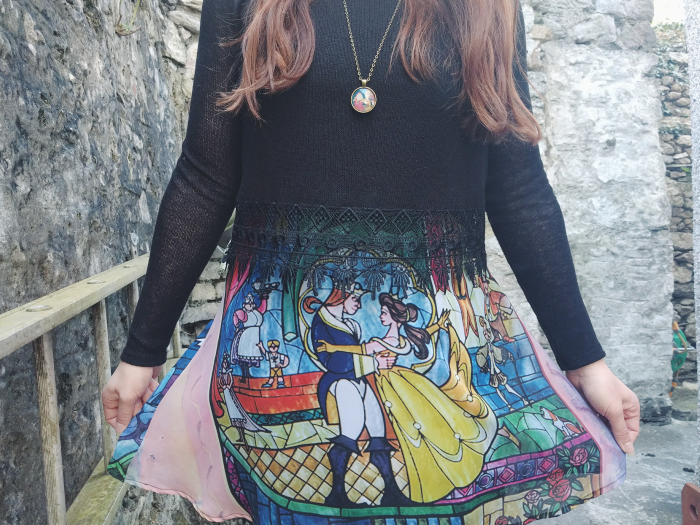 I bought this Beauty and the Beast dress a while ago off someone in a Disney selling group on Facebook and I am in love with it! As I mentioned in my Disney Confessions post I'm not the biggest BATB fan but this dress was just too gorgeous to pass up! The colours on the skirt are so bright and cheerful and I like how they chose the stained glass image for it, rather than a still from the film. I don't think most people passing on the street would recognise it as a Disney image so bonus points for subtlety! 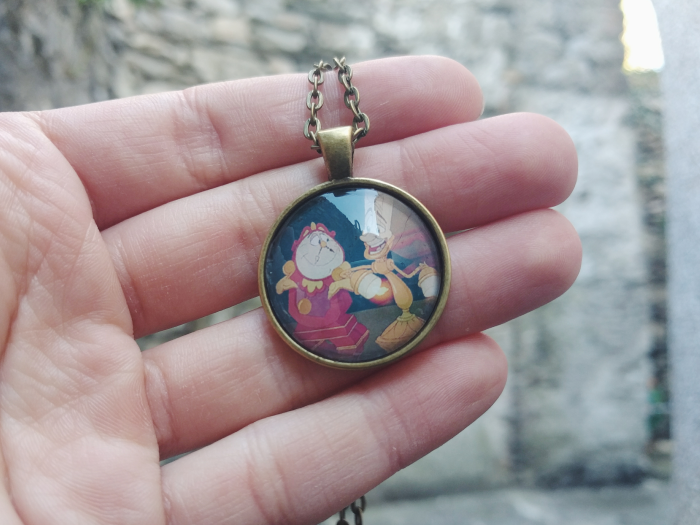 And of course I've got to mention this Cogsworth and Lumiere necklace from Charlotte at Alice Vitrum! As soon as I saw it on her Etsy I knew it would be perfect for pairing with this dress. I've got a few necklaces from her shop now and I honestly wear them all the time - I love being able to wear a bit of Disney everyday! If you're after some Disney jewellery you definitely need to check Alice Vitrum out, she's just added some Paris park map necklaces as well! 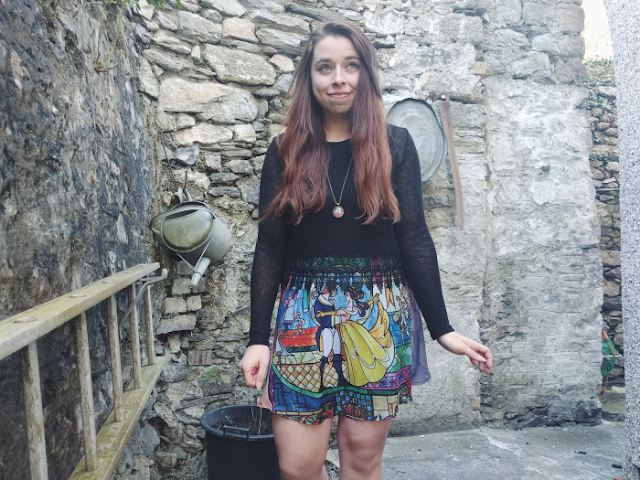 Absolutely love this outfit, the skirt is gorgeous! 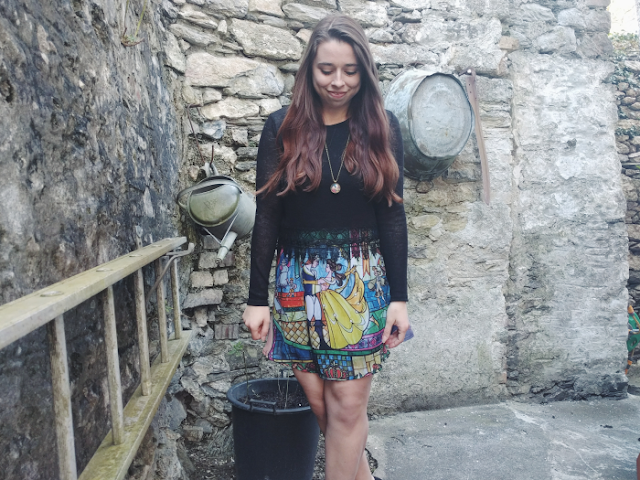 Such a lovely outfit! 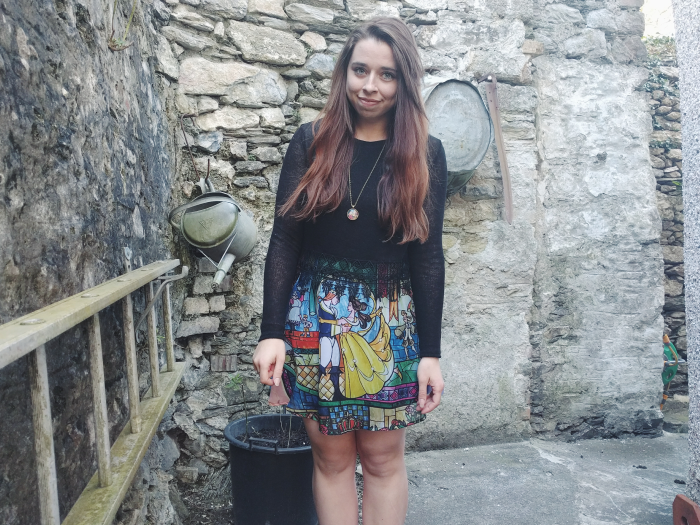 The skirt is so pretty and the Alice Vitrum necklace looks fab with it. I was inspired to buy a couple of Charlotte's necklaces after seeing your Instagram post on the one's you'd bought. 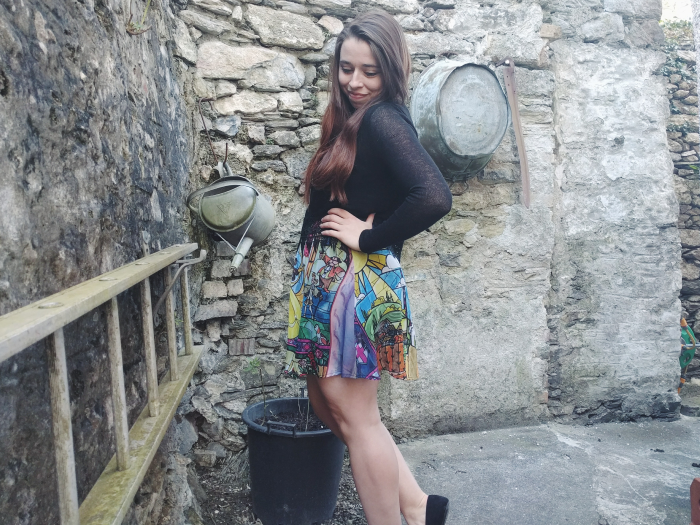 I wear them so much!